Last year’s beaten finalist Robert Paxton kept his title hopes alive of going one step further this year than he did against Blackpool’s Mark Dawes in the title decider twelve months ago when he held off Carlisle qualifier Ian McIntosh in their exchange today. Paxton, seeded 4, only dropped two ends in the opening set winning 8-2 and in a frustrating second set for McIntosh, the Commonwealth Games singles bronze medallist also took the second set 7-4 to set up a second round clash against qualifier Scott Edwards on Wednesday 23rd January. McIntosh said “I’ve thoroughly enjoyed my time at Potters. It’s been amazing. The rink was very tricky though. It was so fast and difficult to make small changes to get yourself out of trouble. But the experience have been invaluable”. In the last match of the day, No 14 seed Jason Greenslade survived a tie break against South Africa’s Craig Rimmington that saw him gain valuable ranking points in his quest to stay within the top 16 on the WBT Ranking List who enjoy automatic entry into all of the WBT events. Jason, who lost in the quarter finals last year, didn’t get things all his own in his first round match. 58 year old Rimmington is a feisty competitor. He is a Technologist with R & D Explosives and was born in Yorkshire and his family emigrated to Zambia when he was 4. He then moved to South Africa aged 12, but was not allowed to play there until the age of 21. He had qualified for this event on several occasions and is capable of causing an upset, and that looked on the cards in the second set after Jason won the first 9-4. In the second, despite dropping a full house of four shots on the penultimate end he averted any danger when he scored a single to take the set 9-7 that saw the match go to a tie break. However Jason played the big bowls when it mattered and after taking the first end, drew shot with his last bowl in the second to see his title hopes stay alive. 2-0. Four more seeds will be in action tomorrow (17th) . 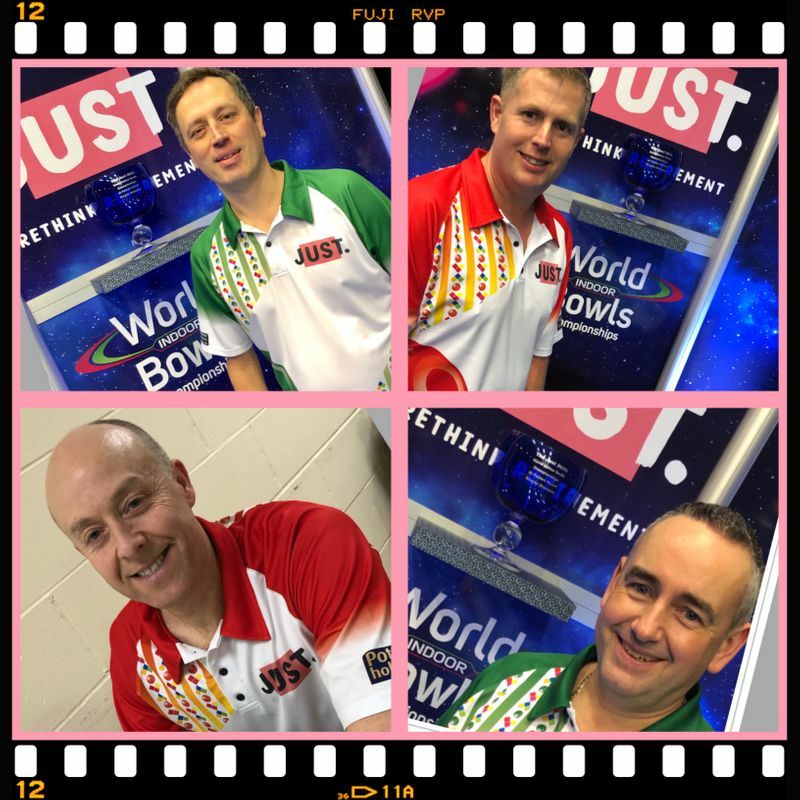 Mervyn King, Darren Burnett, Nicky Brett and Alex Marshall are all former champions and will have their sights set on regaining the title.